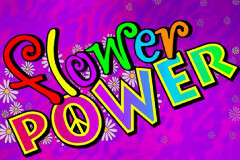 Flower Power is a totally groovy pokie from Microgaming that brings to mind the hippie era of the 1960’s. Vivid colours and swirly images make it look like the Mystery Machine from Scooby Doo, but it’s no mystery to play, as this is another example of the classic 3-reeler, 3-payline games that Microgaming are famous for. It’s no surprise that flowers are a recurring theme here, with hundreds of them all over the place, from the background image to the little ones adorning the symbols themselves, while the other prominent theme is the ‘peace’ sign that’s associated so closely with the hippy movement that grew up around protests over the Vietnam war. It’s definitely a far-out looking game, although the way it plays and the features are nothing particularly rad. That’s not to say it’s a poor quality pokie, far from it, as anyone who likes the theme and gets a high from playing 3-reel games will find plenty to make Flower Power give them a positive vibe. Flower Power has the same layout as numerous other Microgaming pokies, so anyone new to the game will immediately know what does what and how it all works, while a quick study of the payout table will also tell them how much they can expect to win with each combination of symbols. Reels in one corner and the game logo below them is perfectly standard, as is the payout table that takes up the right side of the game. The normal Microgaming control panel is below all of this, and it lets players choose coin values from 0.25 to 5.00 and then play from 1 to 3 paylines. This gives a maximum bet amount of 15.00. which is on the low side for this type of game and is likely to put off those who like to place bigger bets. It’s worth bearing in mind that anyone with a bet on just 1 or 2 of the paylines won’t qualify for all the winning combinations that land on the reels, so if it’s within budget, it is always best to have even just a minimum stake on all lines and go from there. So on to the payout table itself, and here we see some flowered up versions of traditional bar symbols, and then a few others specific to this game. From the bottom, players will get a win of 7x the amount bet when any combination of the bar symbols land across the line, while the single, double and triple bars on their own will equal wins of 15x, 30x and finally 80x the bet per spin. Then it’s on to a couple of unique symbols, starting, naturally enough, with a flower that’s worth 150x when it stops right across an active line, while the ‘peace’ symbol that looks like it belongs on the front of a Mercedes pays out 300x for the same line-up. 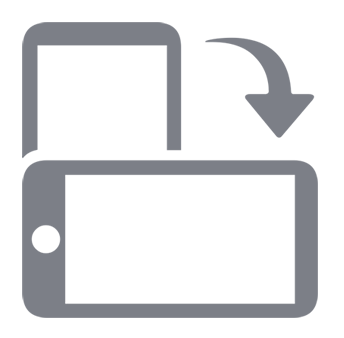 But it’s the Flower Power logo symbol that has a few nice tricks up its sleeve, as it acts as a wild symbol, helping to complete additional winning combinations and also has the highest value payouts when making up a line on its own. Wild substitutions work when just 2 of the same symbol, or also in this game, 2 of any bars land on a line along with the wild. The wild will act as a third of that symbol and the win will be paid out. On top of this, when the wild lands across the reels in a line on its own, it will reward players with 1500x the bet on the first line, 3000x on the second line and the jackpot of 5000x when landing right across the third payline, so it can be an advantage to activate all the lines if you want this bigger win. A Groovy Pokie, or Bad Karma? Whether Flower Power attracts someone or not largely depends on the appeal of the theme. It’s certainly colourful and eye-catching, but other than that, there isn’t much to differentiate it from other 3-reel and 3 payline games from the same developer. However, Microgaming haven’t become the leaders in this field for nothing, and Flower Power has enough features and style to appeal to a wide range of people. It’s a shame the maximum bet isn’t a little higher, but that apart, this is a quality game that can be trusted to deliver more thrills than a weekend at Woodstock.